Partners in marriage and in business, Charles & Ray are well known for their unique and affordable furniture designs. They experimented with molded forms which have come to be an iconic favorite. 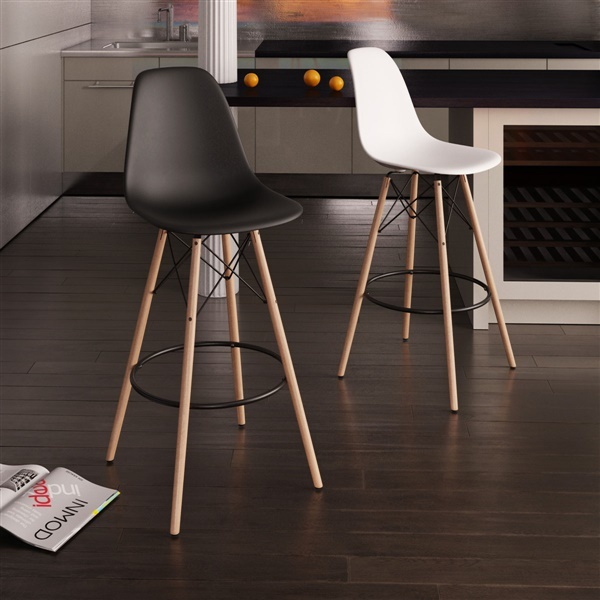 The Molded Plastic Bar Stool with Wood Legs features a solid beechwood dowel frame with black powder coated steel wires for extra support and strength. Available in a variety of colors, you can choose to compliment your decor or add a pop of unexpected yet bold and eye-catching color. Matte red & matte black really make an impressive impact especially in a kitchen with white accents like mine - stunning results! Never thought I would buy any piece of furniture in red but I stepped outside of my comfort zone and went for it with these stools, I'm happy to see they are spot on! Changed the whole appearance of my kitchen and it is BEAUTIFUL now! Matte black seat with natural wood legs is the way to go with these - very sophisticated, turned the appeal of my home up a few notches! GORGEOUS!! I like them so much! Really glad I came to inmod! so happy I found these! 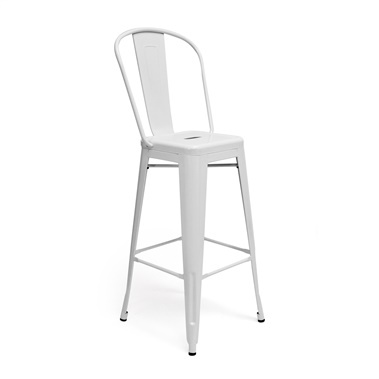 I saw similar stools at a really cute new ice cream parlor that opened a few months ago in my neighborhood and they said they bought from you - I am so happy to own a set of these, they look fantastic, I will definitely be back here! These look wonderful with the eiffel round bar table I ordered! Items arrived only a few days a part, the set is exactly what I was hoping it would be and I love the way they look together and in my kitchen, I'm also really glad to finally be eating at a table instead of the kitchen island! leveled up my bar area! Order arrived quickly and they look absolutely stunning in my kitchen! A very sturdy and attractive stool! Thank you inMod! Purchased two, beautifully priced for the quality. Perfect highchairs for my kitchen island.